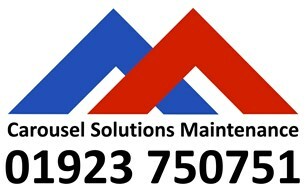 Carousel Solutions Maintenance Limited - Bathrooms, Bedrooms, Kitchens based in Chorleywood, Hertfordshire. Carousel Solutions Maintenance specialises in interior and exterior decoration; our skilled engineers install and repair kitchens, en-suite and family bathrooms across Hertfordshire, Middlesex, and their surrounding areas. Our commercial and residential teams include highly skilled and experienced carpenters, painters, and decorators, electricians, plasterers, plumbers and tilers can update your bathroom or kitchen, do complete house renovations including extensions and loft conversions. We make the ordinary, extraordinary. We provide the highest level of quality service to our customers at all times; no job is either too big or too small. We strive to surpass other painting and decorating companies working closely with each client completing quality, reliable, and long-lasting work. We complete insurance and self-paid projects of all sizes only accepting jobs that we can deliver to the highest standards.